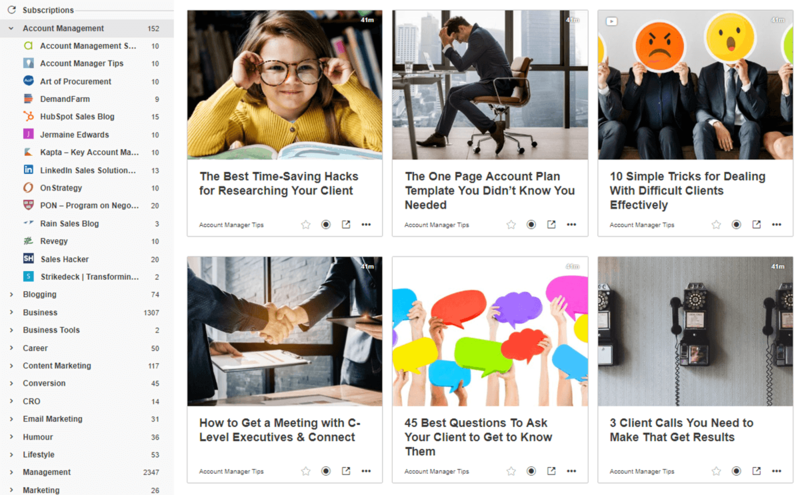 What are the 15 Best Account Management Blogs of 2019? Account managers have a big job to do. This list of the 15 best account management blogs of 2019 will give you the skills you need to do it. I must tell you, account management blogs are hard to find … really hard to find. So I’ve cast the net wider to include blogs on sales, customer success, strategy and others. And that’s OK because account managers wear many hats and serve many masters. Kapta is key account management software that creates proactive account plans. Their blog is a balanced offering of short tactical advice and in-depth strategic insights. They understand the account manager and it shows. You’ll find articles here that no-one else writes about, yet every account manager talks about. If you want to get better at any aspect of account management – you’ll find help among the posts of the Kapta blog. They write from the perspective of the customer and the account manager which has led to some interesting narratives. And you will be challenged. Kapta doesn’t shy away from the occasional provocative post that ignites debate. They also have an enviable commitment to consistency and publish at least weekly. READ: The Quarterly Business Review (QBR) Is Dead. And That’s a Good Thing. Jenny Plant is behind Account Management Skills and she writes from 20+ years of agency experience. While the focus is on agency handlers, the insights shared are relevant to everyone who manages client relationships. The posts are thoughtful and informed and will appeal to any account manager who wants to be better and do more, but don’t always have the time or support they need (sounds like most of us!). Jenny famously wrote the viral post I’m pissed off – what every agency Account Manager needs but doesn’t get in which she laments the lack of training Account Manager get. Jenny often shares her thoughts on video immediately after one of her training sessions. These spontaneous and unscripted posts are my favourite – when Jenny pauses to reflect. Though she may teach account management to her students Jenny embraces the moments when she also learns from them. Inspired and would love to see more of these please! Author of the Key Account Hack, Jermaine’s blog is rooted in theory and research. But this is no dry, boring University lecture. Jermaine brings it to life with his passion for value-led account management. His writing effectively translates dull theory into exciting practice. Jermaine gets you thinking. Which is a good thing. The customer is at the heart of everything he writes (where they should be) and Jermaine recently devoted a lot of his writing to show you how to become irreplaceable to your most important customers. If you seek innovative ways to transform your B2B relationships – with a healthy dose of inspiration thrown in – then look no further. Demand Farm also offer key account management software and write regularly about the process of account planning and goal setting. They focus on best practices and have a large resource library of eBooks, like Confessions of a Key Account Manager and many more that I enjoyed. They don’t sugar-coat the challenges of account management and much of their content is designed to create discussion as it is to educate. Another key account management software player, Revegy’s blog dives deep into sales and account growth strategies. Selling to existing customers rather than prospects is the same, but different and Revegy appreciates the nuances. Their posts link planning with sales success and show how you can raise your game through a little discipline and process. Rain Group lives and breathes sales consulting and training. While their blog leans more with pursuit than retention, they have dedicated a good deal of research to strategic account management. Their articles on negotiation, consultative selling and account management are excellent and they go the extra mile to regularly include compelling visuals to enhance their insights. If you’re a manager, they’ve got a lot of posts dedicated to leading teams to success. Fail to plan, then plan to fail. That’s why strategy is so important. But it can also be complicated and it’s easy to drown in theory. Not so with the OnStrategy blog. They demystify strategy with articles that guide you through the strategic planning process – from research, goal setting, key performance indicators, implementation and execution. Every post is easy to read with actionable advice you can use whether you lead an organisation, lead a team or lead a client. READ: Operational Meetings vs. Strategy Review Meetings: What’s the Difference? Richardson is a global sales training company and their sales enablement blog is dedicated to driving revenue and growing long-term customer relationships. Every account manager I’ve ever met is targeted on revenue and retention so you’ll definitely find something here to help you. They have a huge library of useful articles on topics like consultative selling, presentation skills, strategic account development and becoming a trusted advisor. They also regularly release research and host webinars on important trends. HubSpot is a fountain of knowledge and they have created a substantial blog dedicated to sales and marketing (including some account management). They publish in-depth authority content with a “how to” focus. There’s also a training library, resources, eBooks and guides worth exploring too. Maybe I’m the last to know but I didn’t even know LinkedIn had a sales blog! I only discovered it last month and I’m obsessed. It’s full of practical sales tips, social selling advice, career advice and LinkedIn profile best practices. LinkedIn reached 590 million users in December 2018 (40% are active daily) and is the ONLY B2B platform worth joining, so they know a thing or two about doing business. Every account manager sells. But you also have to plan and manage the entire relationship between your business and your clients. Which is why I find sales blogs a little overwhelming. I’m not selling night and day tactics vary when working with existing accounts vs. chasing prospects. Which is why Sales Hacker is so genius. It brings together a vast range of tips, tactics and strategies from sales experts in a variety of formats: from podcasts, to webinars, research and conferences. Immensely readable and not afraid to have a little fun, Sales Hacker is filled with great advice on the sales process. My favourites are their articles on sales psychology that help you get inside the head of your clients and what makes them tick. With the massive growth of SaaS, customer success management has emerged as a new role tasked with proactively helping clients reach their goals and renew or upgrade their solution. Sounds like account management to me. Certainly there are some distinct differences but for me the lines are sometimes blurred. Strikedeck is perfect if you find yourself treading that thin line, or just want to learn more on how to optimise your clients’ experience with your solution. The articles focus on customer retention, communication, engagement and experience – all areas I would encourage every account manager to explore. They also have some great career themed posts. It’s not the most comprehensive resource on Customer Success, but the one I visit the most because of the thought-provoking and helpful articles which can easily be applied to account management. FACT: If you’re an account manager, you WILL work with someone from procurement. So do you want some friendly advice? Get the upper hand with some inside secrets from the Art of Procurement. This accessible blog and podcast explores procurement in depth from the client and the supplier perspectives. You’ll learn everything you need to know about the buying cycle, the decision making process and the challenges facing procurement. If you want to sell to a buyer, you have to think like a buyer. And you’ll be a better account manager for it. This daily blog is dedicated to the art and science of negotiation. Whether your selling your house, asking for a pay rise, or raising a clients’ fees, you’ll find everything you wanted to know and more about closing that deal. It’s refreshingly readable (I was expecting it to be much more academic), detailed and highly actionable. Account Managers are often accused of being farmers, not hunters. This is a great place to start if you want to brush up on tactics. Of course I must add my humble blog to the list. Account Manager Tips helps busy account managers find success through simple, powerful and easy to implement advice. Account planning, revenue, retention and getting things done are what I write about. There’s a big focus on multi-media and increasingly I’m adding video, audio and content upgrades so you can access information in whichever way works best for you. 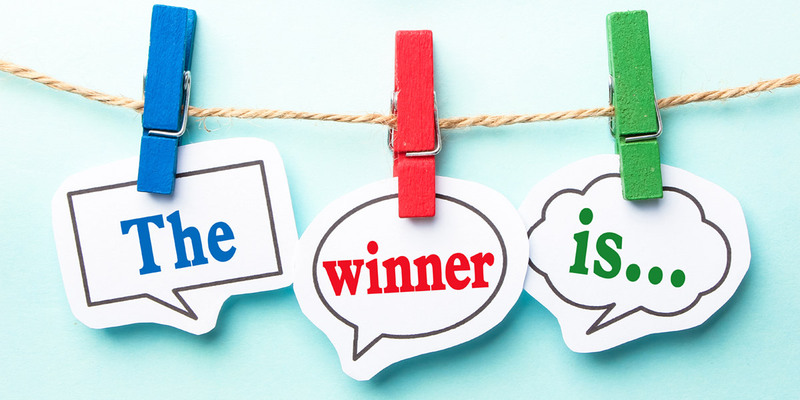 I get inspiration from visitors to the blog (in fact I have 6 months worth of user generated content ideas) – so if there’s something you’d like to see here, take a minute to fill out this short 3 question survey. Who has time to read these blogs? The easiest way to keep up with these blogs is to use a content aggregator. My favourite is Inoreader which keeps all my information sources in one place, has amazing search features and can save individual web pages to read later (I use this a lot). The free plan is more than enough to get you started and I’ve been perfectly happy with it for years. But if you subscribe to hundreds of blogs (like I do) consider upgrading to get access to power searches, filters, rules and additional customisation. I recently subscribed to the Plus plan which is around $30 a year. Head over to Inoreader and sign up for your free account. You can sign up with your Facebook or Google accounts so it literally takes seconds. The browser extension allows you to subscribe to blogs,, save pages and access new content in an instant. There are two ways to do this. The first way to subscribe to your favourite account management blogs is directly within Inoreader. Search for the blog title or better yet, enter the URL address. Navigate to the feeds section and click the plus (+) key or the subscribe button. FYI: the number of subscribers isn’t an indication of quality. It refers to how many Inoreader users have subscribed. Even The Washington Post World News only has 1,000 subscribers, so your favourite blogs may not be on the radar … yet! The second is to use the browser extension. When you’re on the blog, click the extension to import the web address and then select the plus (+) key. Inoreader will search for the feed and give you the option to subscribe. If you can’t locate the feed, check you’re on the blog page. Usually it’ll be something like blog.yoursite.com or yoursite.com/blog. If you still can’t find it, double check in Inoreader. For example I was unable to subscribe to the LinkedIn Sales blog from their web page but found it by searching inside Inoreader. Only choose Save this page if you don’t want to subscribe, but do want to read the article later. That way you’ll only store the single page and won’t get updates when new content is published. Arranging account management related blog subscriptions into a folder called, well, account management, will make your life a whole lot easier. You can either flip through all the content magazine-style, or jump quickly to the sites you’re interested in. The little number indicates how many unread articles in your feed. Millionaires are made in 30 minutes a day – so remember to check your feed regularly. That’s my list of the 15 best account management blogs of 2019 and the easiest way for you to read them. What’d I miss? Share your favourite blogs in the comments.